Perfect for crafts and jewelry!! Flattened caps make great charms!! 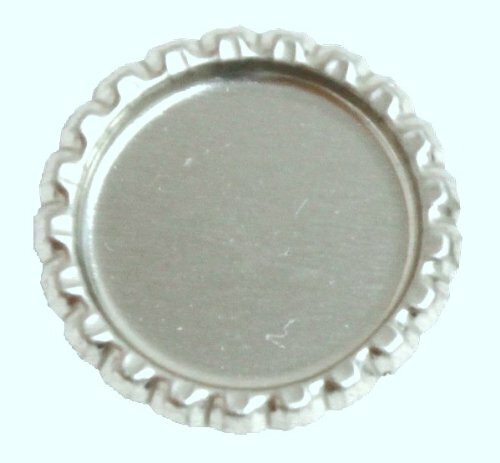 The Bottle Cap Company Presents... 100 Flattened Chrome Bottle Caps Perfect for your Scrapbooking Embellishments! Also great for making cards, jewelry, crafts, etc. Description: 1 package of 100 flattened crown bottle caps Chrome Colored NO RUBBER LINER inside the bottle cap to deal with! Brand New, Never Used No Writing or Insignia or Corporate Logo anywhere on these caps!